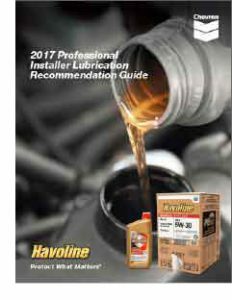 The 2017 Havoline Lubrication Recommendation Guide is a resource of valuable manufacturer specifications and the corresponding Chevron product recommendations. Among the product listings are Chevron and Havoline motor oils, ATFs, and greases, just to name a few. Click Here for a PDF copy of the guide. To order a hard copy of this guide, please feel free to fill out our contact form, or email us at marketing@alexisoil.com. Material Safety Data Sheets are an OSHA requirement for hazardous chemicals! Please make sure you’re aware of what you’re purchasing, and keep your SDS forms on file. You can find MSDS/SDS forms for our major providers below. NOTE: An SDS is an updated replacement for an MSDS. One may be a substitute for another. For specific inquiries, please consult the parent provider.